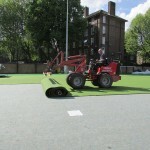 Needlepunch synthetic grass has advanced and improved over recent years to be a top quality artificial sports surface. 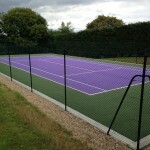 Many organisations across the UK are now upgrading their existing muddy sports facilities to this surface type. 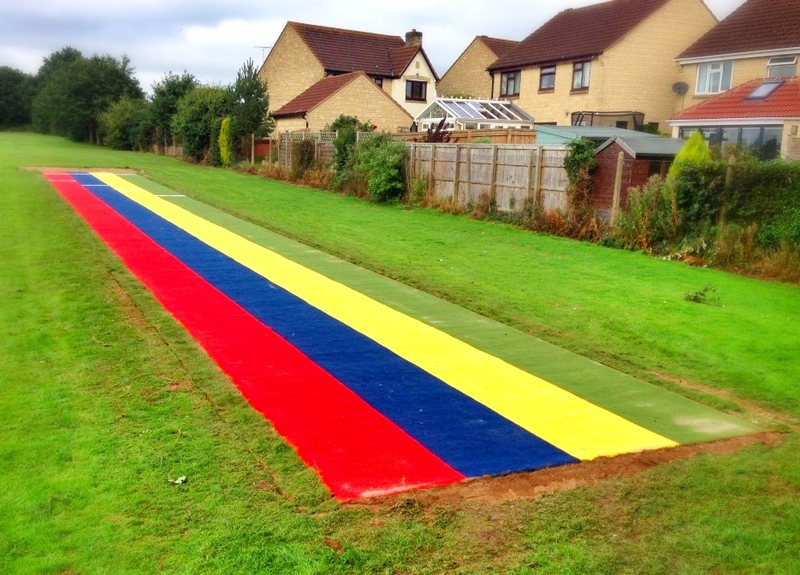 We can design a needlepunch surface specification in a range of colours which is durable, long lasting and meets the performance requirements for the sports you want to play. 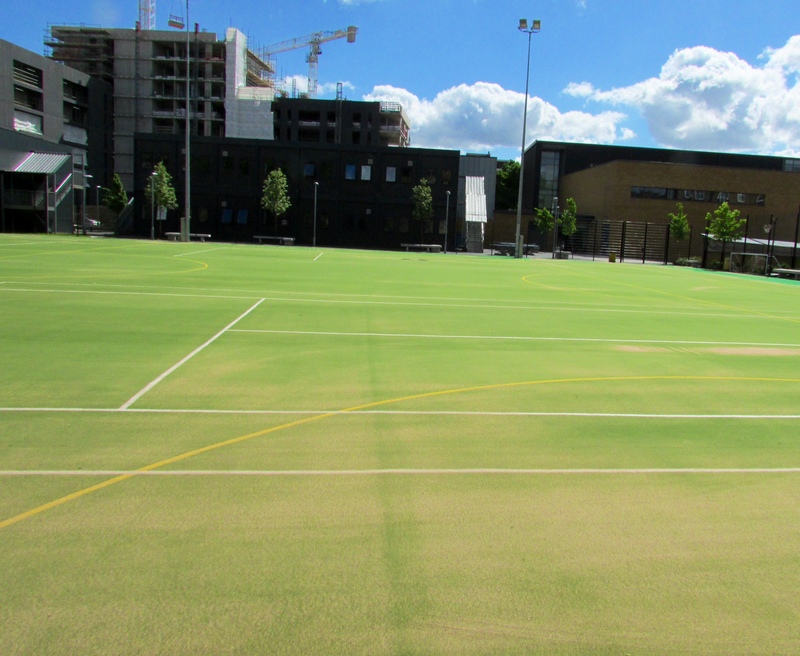 Whether the surface is for an athletics track or a multi use games area which can be used for a number of sports, we’ll give you exactly what you need. One of our experts would be happy to give you an idea of costs for having one of these facilities installed. The prices do vary depending on many factors so don’t hesitate to ask if you need some further advice. 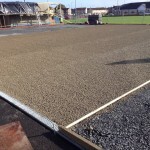 The first part of the needlepunch surface specification is the base, needlepunch synthetic turf can be installed onto either a dynamic sub base or an engineered sub base, however an engineered sub base is preferable as this is made from macadam and therefore provides more even levels for the needlepunch carpet to be installed onto. 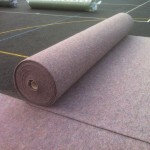 If the needlepunch fibre bonded turf is for an athletics track the carpet can be laid straight onto the sub base, but if the synthetic needlepunch designs are for a multi use games area it may be necessary to install a shockpad beneath the artificial grass carpet to help absorb impact and cushion players’ joints. 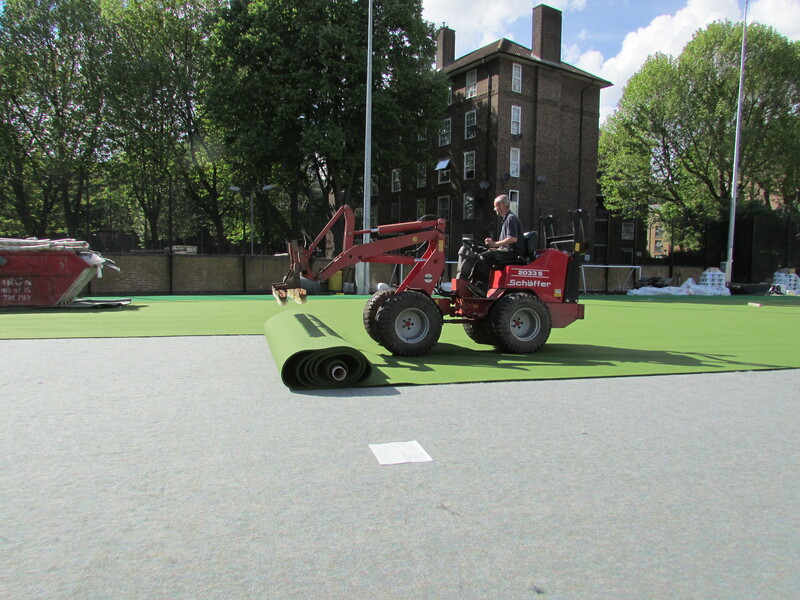 Once the sub base and shockpad have been installed, the next part of the needlepunch surface specification is the installation of the synthetic turf carpet itself. 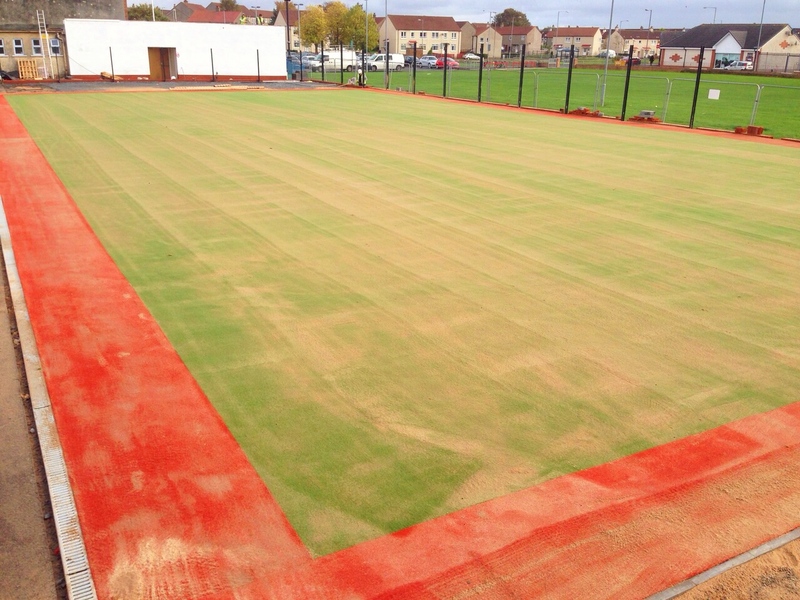 The needlepunch fibre bonded surfacing is made up of woven and knitted fibres which have sand installed at their base, this sand infill helps to stabilise the sports surface and enhance playing characteristics for sports such as football and hockey. 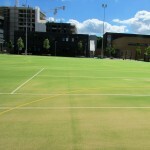 Needlepunch synthetic turf surfacing has the highest fibre to sand ratio of all the artificial grass sports pitch surfaces available. 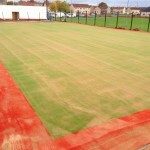 You can choose a synthetic turf surface specification which suits the sports you want the artificial grass facility to be used for, and inlaid line markings can be installed in contrasting colours to distinguish between different sports for a multi use games area. There are a number of synthetic needlepunch designs and options to choose from when it comes to the overall construction of a needlepunch sports facility and it’s important to consider all these variables when deciding on a budget for your project. You can select a number of different pieces of sports equipment including rebound fencing in a range of heights from 3m-5m, floodlighting, long jump sand pit covers and maintenance accessories to keep your synthetic turf facility in top condition. The needlepunch artificial grass surfacing is hard wearing and has a life expectancy of around 10 years, but with regular maintenance the product life can be extended by around 4-5 years, so it’s important that you keep the sport surface well maintained. The needlepunch surface specification is a popular choice for primary schools as it provides a softer more impact absorbing landing surface compared to macadam or polymeric rubber, this is a great safety enhancing quality for a sports facility which is being used by younger kids. 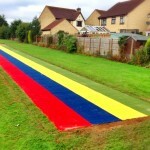 The range of bright colour options which come with synthetic needlepunch grass is also brilliant for primary schools as the surfacing can be installed in a rainbow design to make sport even more fun and enjoyable. We aim to offer a great value service for the installation of a range of needlepunch surface specifications which meet the performance requirements and budget of each individual project, so we can tailor a quote and an installation process which you will be completely happy with. We can offer further product information and costs estimates for any enquiries you may have to please get in touch with us using our contact form and one of our experienced staff members will get back to you. The process of installing the needlepunch surface specification will be different for every project as it depends on your chosen design. Please tell us if you have any requirements regarding prices and we’ll take this into account when providing a quote.